Freecharge offering a amazing offer for All New Users. Freecharge is top e-commerce website and App. Freecharge giving every time lots of Deals and offer. Freecharge is offering 100% Recharge Cashback for All New Window App users. 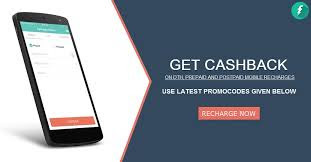 Freecharge is amazing Recharge , Bill Payment app and give some special recharge cashback offer. 5. Complete the Payment using debit/credit card or Freecharge Balance. 6. Rs.75 cashback will be credited to Freecharge account instantly. 7. This offer Vaild only limited time. 8. This Offer Can be Used maximum one times. 9. Offer Not Vaild Airtel Network. 10. This offer vaild only Window App Users.